You have three minute to save your life. 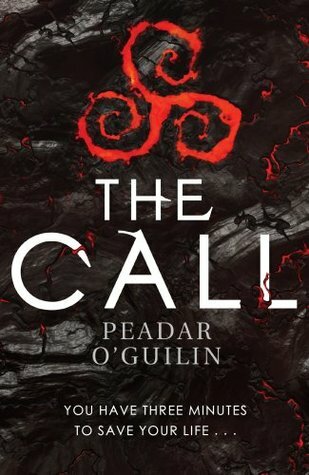 Nessa and her friends attend Boyle College to train for the most dangerous time for their lives - THE CALL. Without warning, each on elf them will walk in a terrifying land, along and hunted, with a one in ten chance of returning alive. I have heard nothing but good things about this book. I have also been waiting to read this book for a while now. It has been sitting on my shelf waiting for me to pick it up and now I finally have the chance. I decided that because I heard that it is creepy, I will read it as part of the Dewey's 24 hour readathon with the hopes that it will spur me on to read it through the night. Thank you so much to Jonathan Ball Publishers for sending me a copy of this book! Just a small disclaimer for those reading this review. I have received this book in exchange for an honest review. Please note that this does not affect my opinion in any way. All thoughts are my own. I really enjoyed the writing. It constantly created an ominous feeling that contributed to the overall feeling of the story. The dialogue was fantastic in my opinion. The only thing that I didn't like about the writing was that it didn't create a clear image of the world. The image that was created from the little description given was vague and blurry around the edges. However, there were moments where the image was vivid. I loved the plot. It was creepy and you would sit on the edge of your seat waiting for Nessa to be Called. I loved how everything unfolded and how the author kept certain events until the end of the book. I loved how we got to see Nessa fight against the idea that she was weak. I loved how her friends defended her but didn't do because she couldn't defend herself. I loved that we got to see different training scenarios instead of just hearing about them. I also like that we got to explore more than just Nessa's perspective. Nessa is a girl who doesn't take crap from anyone. She hides her emotions to show people that she isn't someone that needs others to do things for her and she doesn't let disability define her. Instead she uses it to rise above. I love how despite how hard she tries, she can't help but be giddy on the inside around Anto. I loved Megan. She was sassy and maybe bit off more than she can chew at times. All the characters in this book were well developed and I loved how there was a lot of contrasting characters. 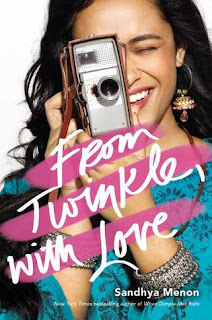 Overall, I am super excited for the second book. I had expectations for this book and whilst it didn't meet all of them, it totally blew me out of the park. It wasn't like anything that I expected. I loved the writing and the ominous feeling it gave off, I loved the anticipation I felt whilst reading this book and I really liked reading about these characters. There were diverse and well rounded. Thank you so much to Jonathan Ball Publishers for providing me with a copy of this book!